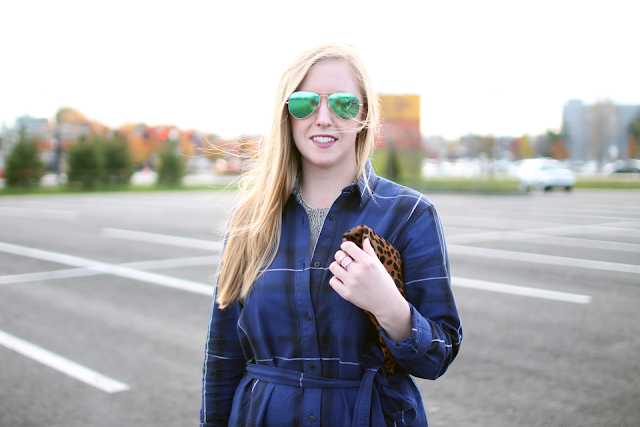 I took total advantage of today's 60 degree weather + threw on this plaid high-low shirtdress. 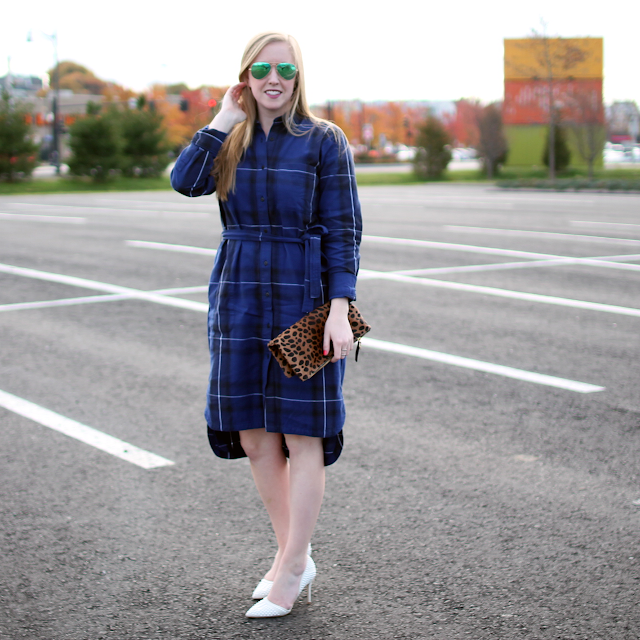 I added white pumps to pull out the white grid lines of the dress, while keeping accessories to a minimum. Pretty soon I'll be forced to wear this dress with tights or leggings, and plenty of layers... I'm actually looking forward to how I will style it next. Happy Veteran's Day! Don't mind the wind-blown hair: it was quite windy today!